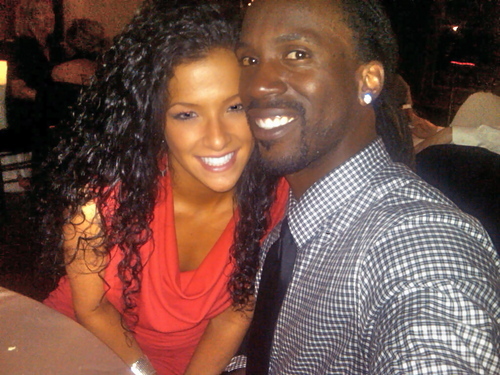 Congratulations are in order for Andrew McCutchen’s wife Maria McCutchen. 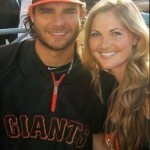 The couple was married on November 22, which aligns nicely with Andrew’s jersey number (which is 22). 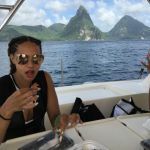 With McCutchen safe to avoid the drama of hot stove season, the couple is safe to jet out on what’s sure to be a luxury honeymoon. 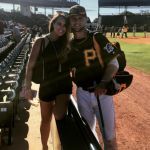 If there’s any question as to whether Andrew McCutchen’s wife would take the McCutchen name – it’s already official on her Twitter account – Maria McCutchen. Andrew McCutchen proposed to girlfriend Maria Hanslovan on Ellen on 12/11/13. 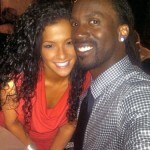 Check out the YouTube clip of Andrew McCutchen proposing to his future wife Maria Hanslovan in action. Andrew McCutchen is the best baseball player you probably don’t know and arguably one of the best 5 players in the league. While there was no doubt that he’d be headed to Kansas City to take part in the annual All Star game, people were very surprised to see him as a late replacement for the injured Giancarlo Stanton in the Home Run Derby. 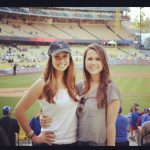 @TheCUTCH22: and so much animosity towards @MariaHanslovan.She meant no harm towards the Steelers.she is a fan n God fearing christian.simmer down folks. I suppose if things go awry in the second half, McCutchen won’t be shy to step in a second time if need be. 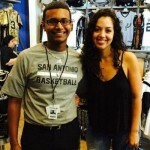 For her sake, for his fantasy owner’s sake, for the fans sake, and for Andre McCutchen’s sake…. let;s hope there’s no need. Always jump at once in a life time chances. He is a great player I’m sure he will just as well the rest of the season. Don’t be mean to Maria she’s a good person. Maria: You are gorgeous and you and Cutch make a beautiful pair. 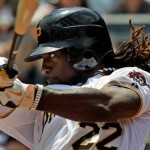 I love the Pirates but I think Cutch is awesome. My husband always says to me “You are not a pirate’s fan, you are a McCutcheon fan”. My husband bought me a framed picture of Cutch for my birthday and it was the best present I could have received. I wish the two of you many more happy days and years together and certainly hope you become Mrs. McCutcheon some day. Make it the Majors,NBA or NFL and sign a million dollar contract…check. Get you a white woman..check! Why can`t you find a white man to marry ? Is it the prestige and his wealth that makes you go black ? You are disgusting to me . I enjoy watching Cutch play.He is no Mickey Mantle,but he is good.However,I do agree with Dr.Romero,Mike C. Caucasian Gentlemen are everywhere.White Man White woman. From what I hear Black-American ladies abhor this behavior. Most of these Black athletes grab Caucasian women. In 1950 White Men would not allow it! Marry who you love and love who you marry.Ignorance is alive and well but love prevails. Reading some of the posts proves fools can be anywhere but are ashamed to show their faces!!. Was looking up info on your fiancé’s injury and saw some nasty messages. 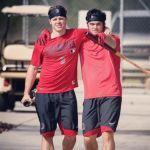 Will pray for you both in hard time of injury. Wish you both the very best. Andrew seems like a fine young man and I’m sure you are concerned more about his well being than anything else right now. Ms. Maria is TYPICAL White girl – going after a Black man with money. And Mr. Andrew is a TYPICAL Black man – one that has been brainwashed to think he’s TOO GOOD for a woman the SAME color as his Mother. 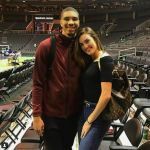 Ms. Maria is a TYPICAL White girl – going after a Black man with money – and Mr. McCutchen is a TYPICAL Black man, one who has been BRAINWASHED into believing White is better. Why doesn’t he date someone the SAME color as his Mother???? Ms. Maria is a TYPICAL White girl – going after a Black man with money. Mr. McCutchen is a TYPICAL Black man – one who has been BRANWASHED into believing white is better. Why doesn’t he date a woman the SAME color as his Mother???? This is comment on Dan Maloney’s post. Black women RARELY date outside their race. It’s not because White men don’t ask them. Black men DO NOT chase White women – it’s the other way ’round. Maria H. met Andrew McCutchen in his FIRST year of playing professional Baseball – and she went after him. Black women don’t chase men – and maybe that’s the difference. We weren’t brought up that way. I have known you since birth and know what a beautiful child, young teen and fine young lady you became. Congratulations to you and Andrew. 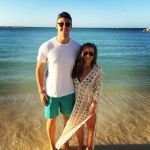 Hopefully your married life will be just as fabulous as your lives have been – you will make a “winning team” . Love and best wishes to both. Wishing you both a lifetime of love and happiness. The whole DuBois community is proud of one of our own living the dream. I’m sure that you and your husband will be a great example for the younger generations. It’s also cool that Andrew is a artist which is something all kids can aspire to since exceptional sports talent is more elusive. Your pictures are really beautiful. I think Maria McCutchen is either white or biracial (half African American, half white). Once again, guys, you do dish on sports stars’ smoking hot spouses, boyfriends, girlfriends, fiances and fiancees. Keep up the good work! To be honest with you, I kept a list on the players’ WAGs since I was in my teens in the early ’80s, so, I was 20-30 years ahead of the founding of this website!!!!!! Reading the negative comments above made me sick. What is wrong with two people meeting, falling in love and marrying? Why do people have to criticize them? What does the color of their skin matter? Don’t they deserve the same happiness we all hope to have in our lifetimes? I am 73 years young and I like to think I have learned some things along the way……like: seize the day, and take your happiness when you find it. Marry the one you love! My best wishes go to Maria and Cutch for a long and happy life together. Professional player surely don’t have a terrible life. They get the opportunity to play the game they have adored their entire life consistently, they win enormous aggregates of cash for doing as such consistently, they can manage the cost of the best garments, autos and houses on the planet, and they obviously pull in the most excellent ladies on the planet. Your comments are reasonable and seem earnest, so I think they’re worthy of a response. I don’t think people (Black people) oppose inter-racial relationships per se, but they do oppose the NOTION that men of a certain status/income are now ‘eligible’ to date ‘other’ women while simultaneously ignoring their own women. Love whoever, but don’t base love on the false notion that women of one race are superior to women of another race – and especially that women of another race are superior to women of your own race (the race of your mom, aunts, etc.). There’s also the matter of racial imbalance – it seems that black men are fair game for ALL women but white men are reserved for white women. Why? If love is blind, then we should see as many inter-racial pairings with white men as we see with black men.